Eternal Rains Will Come - Not everyone's a fan of the abrupt introduction? I'm neutral to it, it doesn't really hamper the album in the long run. This song is actually a really good first impression on the album. For one, it's dynamic, a quality that was seemingly lost on Heritage (at least to me). Cusp Of Eternity - The lead single of the album. This song is kinda meh for me. Mikael's crooning at the chorus is quite a nice touch, although he's been overusing this style ever since he discovered it in Watershed. It's in this song that you start to realize that Steven Wilson's production on the album is terrific, one of the best for this year. Song ends with a gorgeous guitar solo. Moon Above, Sun Below - Things get quite tricky here. This song is terribly disjointed. The irony is that this song is structurally the most similar to the death metal style we've all loved in older Opeth. Mikael's vocal patterns here are weird, it's hard to put a finger on it. His technique is admirable, but his singing voice isn't convincing for the hard-rock approach they've tried to incorporate here. About the meandering, some nice bits here and there, otherwise a very skippable song. Elysisan Woes - A ballad that's almost a wholesale copy of King Crimson. Wailing to keyboards. Not that it's a bad thing, but it's not the best execution here. Goblin - My personal favourite on this album. It's a tribute to the 70s band of the same name. It's one the few times that everyone in the band plays with synergy, not just playing their parts but interlocking them. Very intricate songwriting, the kind of thing I expect from a PROGRESSIVE band. Martin Axenrot is on fine form for this whole album. I hardly find it surprising that my favourite song turns out to be an instrumental. River - A surprisingly beautiful song on the album. 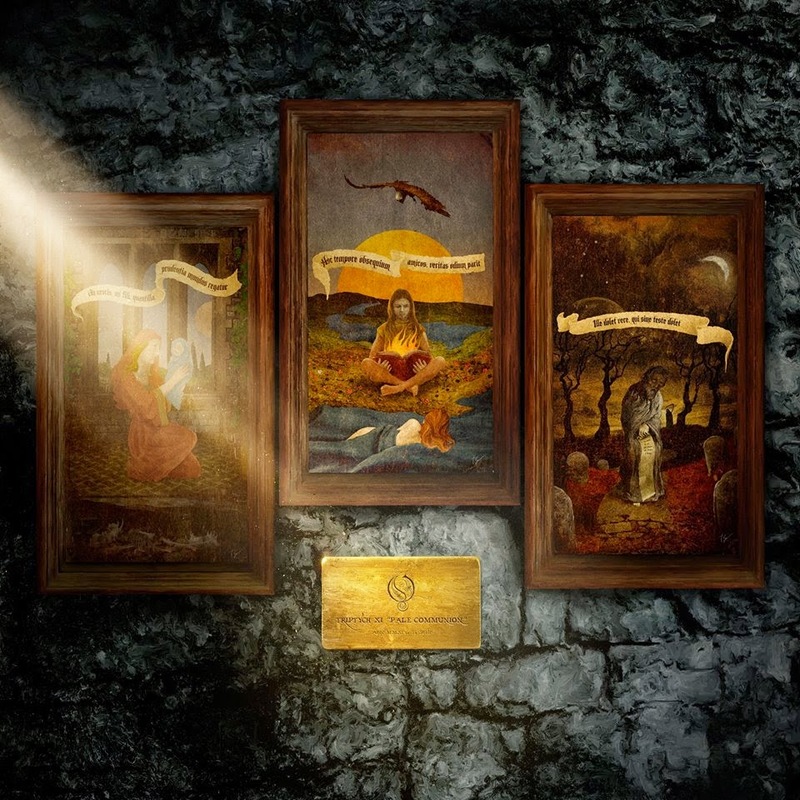 Again, another hallmark of Opeth songs was the level of emotions invested in their songs. This song has a lot of that. It's heartfelt and earnest, and thankfully kept to a coherent 7 minutes. Voice Of Treason - Another song that seems underwhelming to me. Mikael's singing is off (again because he doesn't seem to be able to input some personality in his 'rock' voice). Song meanders on and on, one or two riffs that stand out. Nothing else. Faith In Others - Very reminiscent of their 'Damnations' era. A decent closer, but doesn't provide anything more interesting than the album's first half. I enjoyed the crooning at the end this time though. I will not talk about the two bonus live songs, but they are pretty decent to listen to even if they do not contribute to the actual album. As a whole package, the album feels much more fully realised than Heritage, but doesn't do anything to dissuade audiences who prefer their death metal era. Not that it's a matter of taste, but I find that Opeth's progressive rock era doesn't offer anything new. It's great 70s prog worship, but as with Heritage, I would rather hear actual 70s prog than this. The band has followed the textbook closely, and offered some intricate songs, but most of the songs are self-indulgent re-imaginations of the yesteryears. Mikael Åkerfeldt's vision is clear, but his execution is not there because he does not have a commanding voice. Quite the contrary, he has a beautiful, angelic voice well suited for acoustic passages and mournful songs, not the ballsy-attitudes he tries to bring to the table here. It's also deeply ironic that he gave up death metal for this kind of singing (although recent live shows reveal a more important reason- he has lost his growl). Martin Axenrot has to be praised for completely changing his game, his methodical death metal drum work has matured a lot, and his drumming is almost unrecognizable here. He inserts many fills throughout the songs, and he accounts for a large part of the tight playing here. Martín Méndez's hasn't done a great job here, he's probably still adjusting to the band's change of genres. Bass has been a hallmark of 70s prog and it's a letdown that he hasn't bothered to step up, even if he's been in the background for the most part in his Opeth career. I am still trying to figure out how Fredrik Åkesson (guitars) and Joakim Svalberg (keyboards) contribute to this album. The latter especially, the keyboards are almost background fillers, automatic cues for a sappy ballad or a 'sad' moment in the song. As mentioned earlier, the production is ace, at a whopping DR11. You wouldn't need to read this statistic; the magic is in the attention to detail when you hear it. Steven Wilson has been on a roll with his production duties lately, even if his singing is not up to standard in his own projects (huehuehue-). It's actually more of a 3.5, but we don't know enough coding to write that in. It's a decent album, but far from this band's best work.